Sales application for fictional company "Lux Decor Furniture". 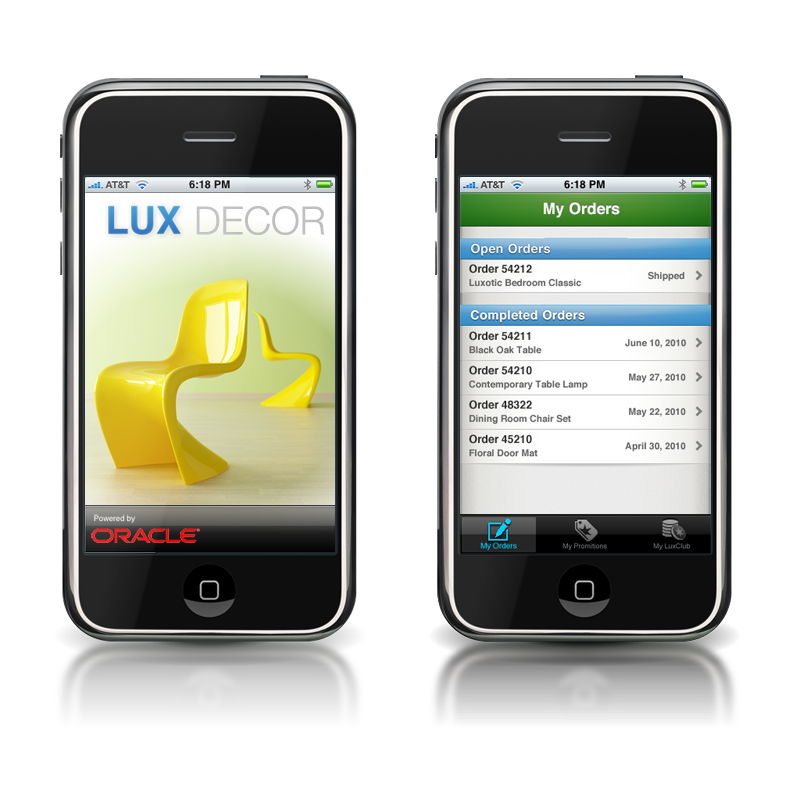 This application assists their sales people in keeping track and taking orders for high end furniture. It keeps track of customer information including how much they have been spending and offers promotions and customer rewards accordingly. 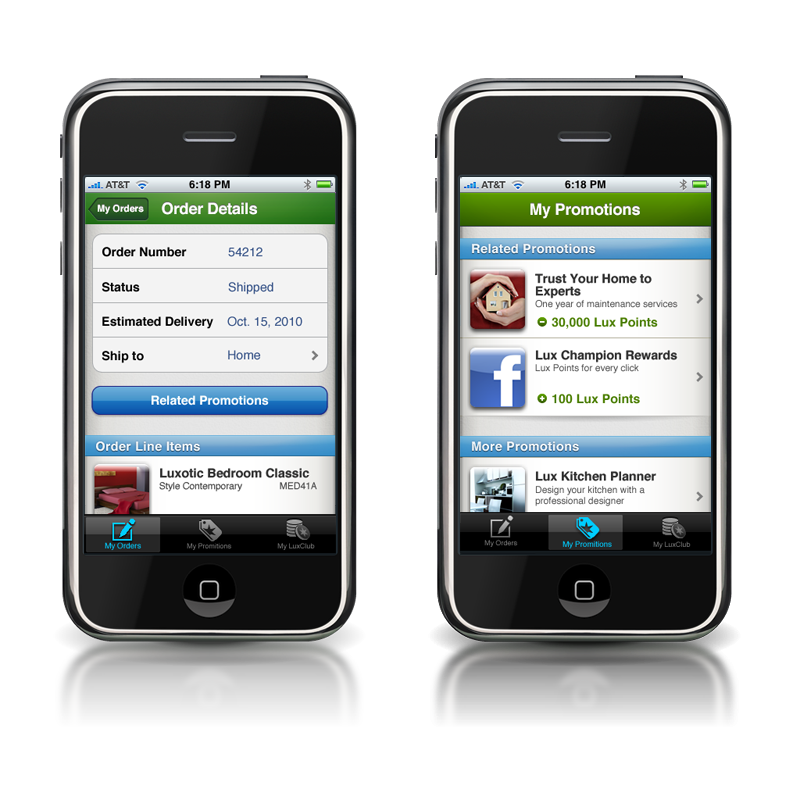 Examples of iPhone and iPad mobile design work.